This January, we will start with 21 Lessons for the 21st Century. This is a book written by bestseller Israeli author Yuval Noah Harari and published in August Protected content the US and UK. 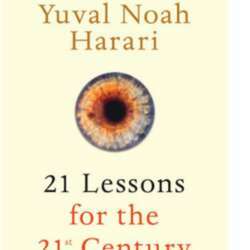 Having dealt with the distant past in Sapiens: A Brief History of Humankind Protected content with the distant future in Homo Deus: A Brief History of Tomorrow Protected content , Harari turns in 21 Lessons his attention to the present. In a loose collection of essays, many based on articles previously published,he attempts to untangle the technological, political, social, and existential quandaries that humankind faces.